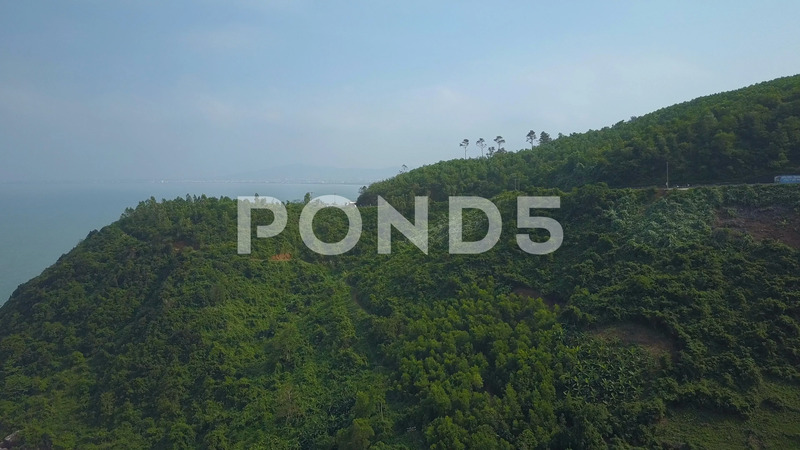 Aerial: Flying Over The Lush Forest By The Famous Hai Van Pass In Rural Vietnam. Description: AERIAL: Flying over the lush forest by the famous Hai Van pass in rural Vietnam. Truck drives down the empty asphalt road going along the scenic shoreline. Beautiful woods covering the mountains.